We offer an in house handmade bespoke dressmaking service to create a unique wedding dress designed just for you. The Bespoke Wedding Dress Process. The first step in the process is a consultation with one of the designers in our team, where you can discuss all your ideas. Bring any pictures or ideas with you and we will go through all your options and fabrics whilst doing a sketch to bring your gown to life. We give you the opportunity to look through our wide range of fabric, lace and embellishment books. Here we can make decisions together on which fabrics would work best with your design. The second step is a toile which is a mock up of your dress, an early version of the finished garment made up in a cheap material or calico so that the design can be tested and perfected. This is where we can discuss the fit, necklines and any other finishes and choose the final fabrics. The third step will happen once the toile fit is correct. We will then make up your gown in your final choice of fabrics where you will then get to try on your bespoke design which has been brought to life with your choice of embellishments and finishes. How many appointments will there be? We usually see you around 6-8 times for bespoke and these fittings take place during the working week. On completion, in preparation for your dress to be taken away it will be steamed and packaged in a garment bag all ready for your big day. 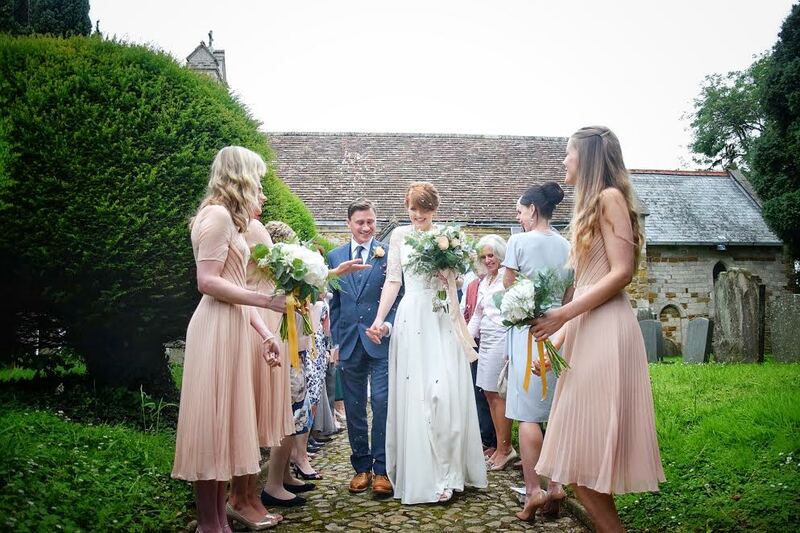 If you would like any more information on our bespoke dressmaking please don't hesitate to contact us, one of our team will be delighted to answer any questions you have.